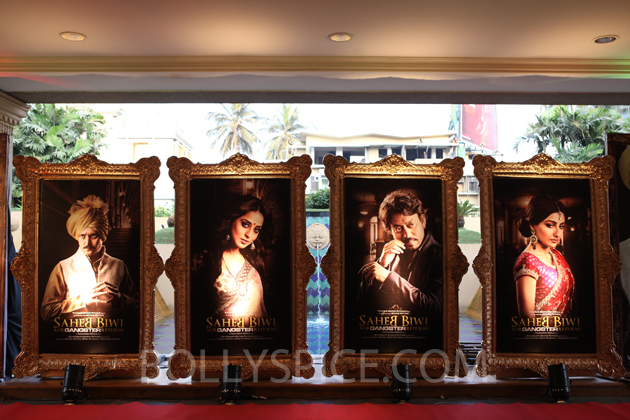 The trailer for Tigmanshu Dhulia’s sequel Saheb Biwi Aur Ganster Returns was launched in royal style this week in Mumbai. True to the spirit of the film producers Rahul Mittra and director Tigmanshu Dhulia had a very royal ambience for the release of the first look of their film. The entire venue was decorated with palatial settings. The stars came one by one in vintage cars. 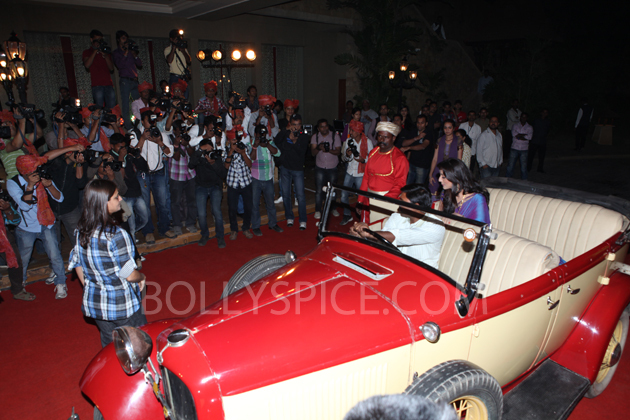 While Irran arrived in a 1952 Chysler, Mahie Gill made an appearance in a 1932 for. 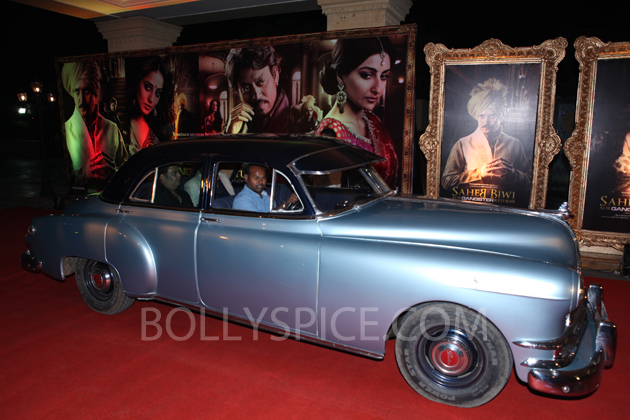 Soha came in with a 1933 Ford, Himmy ina 1947 Buick and Tigmanshu Dhulia himself in a 1951 Pontiac. 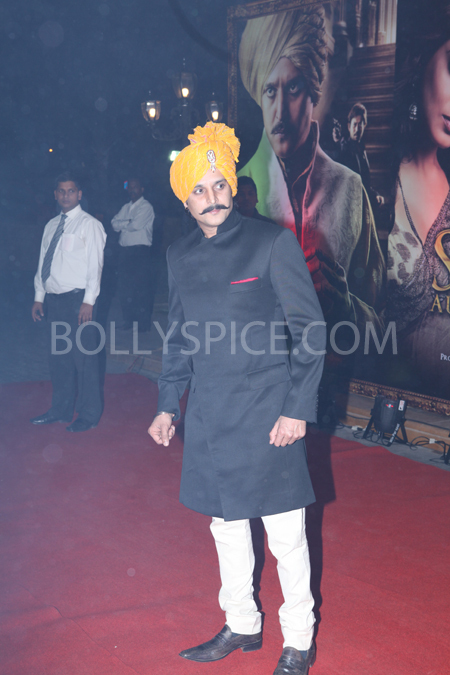 Jimmy was dressed to the core as the Maharaja in a Sherwani and a turban. Soha came in a Pink Ghagra resplendent in antique jewelry. 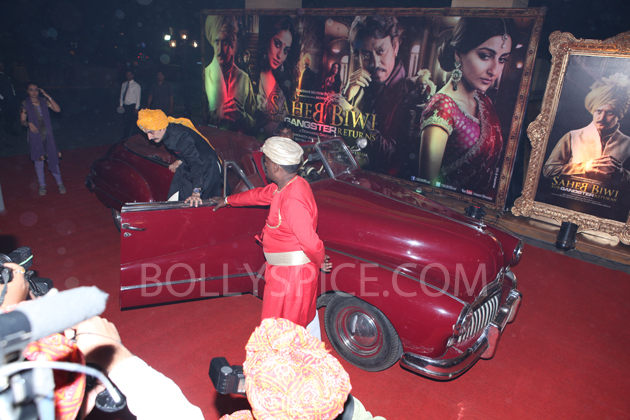 Mahie Gill looked every bit the Biwi of the film in a blue sari adorned with gold jewellery and Irrfan added to the cast looking every bit the nawabi gangster that he is. The stars enacted a scene from the film with their signature dialogues. 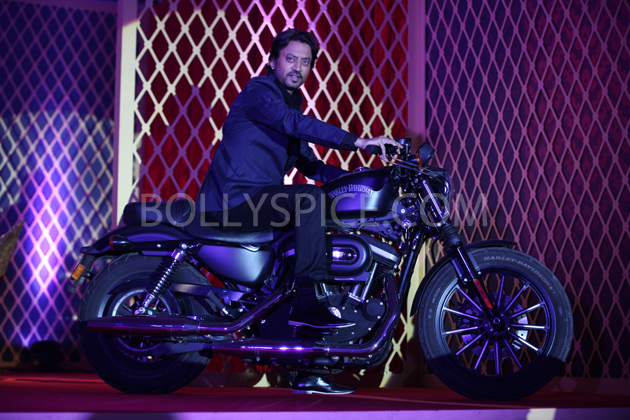 But it was Irrfan’s entry on a bike that took away all the accolades. Speaking at the event director Tigmanshu Dhulia said that the subject of this royal family has interested him since his younger days. “I am from Allahabad and a history student. I have love for history,” he said. The film being produced by Brandsmith Motion Pictures and Viacom 18 Motion Pictures is all set for March 8 release. 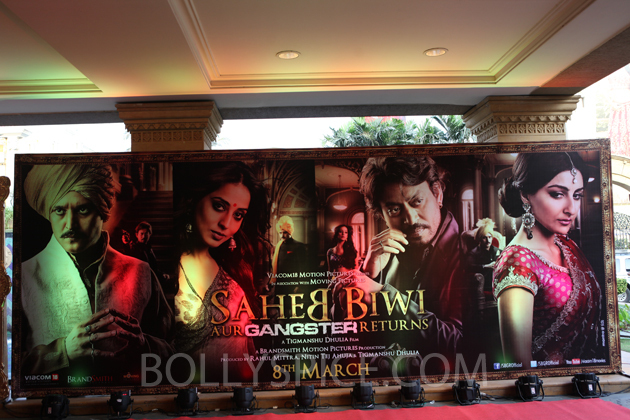 Irrfan Khan essays the role of a gangster in director Tigmanshu Dhulia’s sequel Saheb Biwi Aur Ganster Returns. The actor and director duo have been associated for a long time right from Tigmanshu Dhulia’s first film Haasil and his last success Pan Singh Tomar is proof to their friendship. When Irrfan was asked to describe the director in one line he likened him to legendary director Vijay Anand. “Tigmanshu Dhulia is like director Vijay Anand. 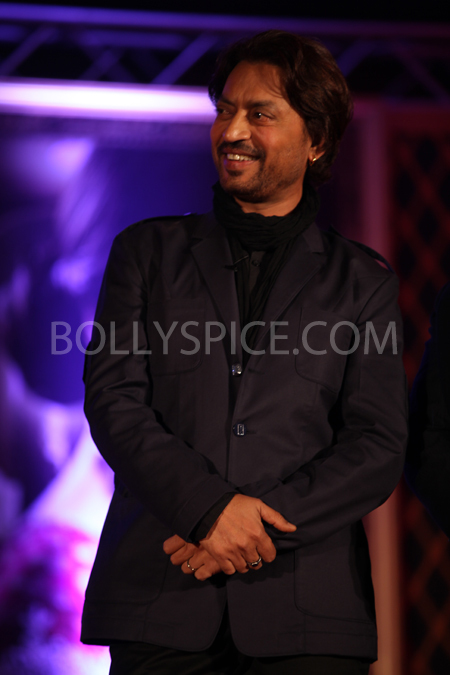 He is a brilliant director,” says Irrfan. “Every director has his own style and Tigmanshu too has his own. We never do homework when we go on his sets. We don’t do a character sketch because Tigmanshu has his own vision and he expects us to go by that vision. I have worked with him for a long time now and he has always stood by me and I think it’s my good fortune to be working under a director like him,” adds Irrfan further. 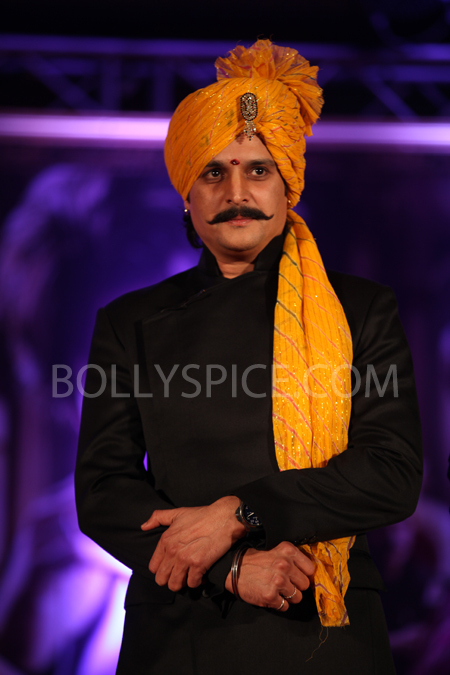 Check out the trailer and the exclusive pics from the grand event! 17 queries in 0.984 seconds.